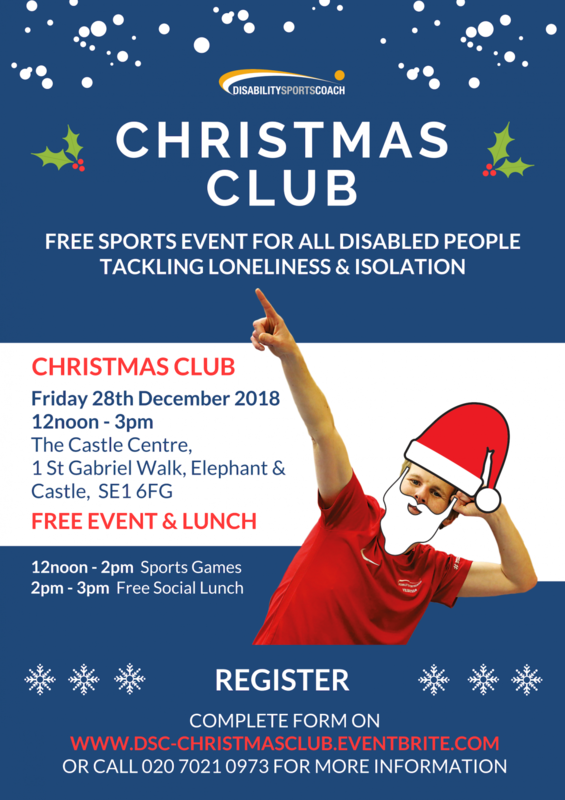 We're excited to provide our first ever Christmas Club on the 28th December 2018 for all disabled people, as part of our 'Unity - Community Clubs tackling isolation & loneliness' initiative. Christmas Club will include 2 hours of sports activities provided by Louis, Omar and Theo with a social free lunch after at The Castle Centre. Register - Click here to reserve your place today!